Southern Cone Travel: Bridging the Beagle; Plus, Win This Book! Bridging the Beagle; Plus, Win This Book! The European Union may be in economic crisis, but its citizens remain accustomed to crossing borders with few or no bureaucratic barriers. 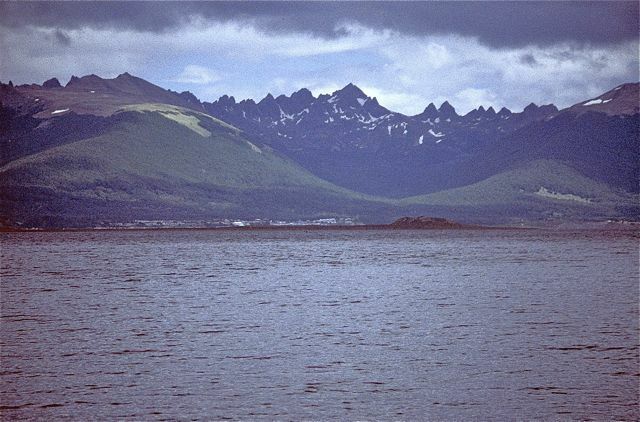 That’s rarely been the case in the Southern Cone countries, especially in southernmost Argentina and Chile, despite the historic links between the Argentine province of Tierra del Fuego and the Chilean region of Magallanes. 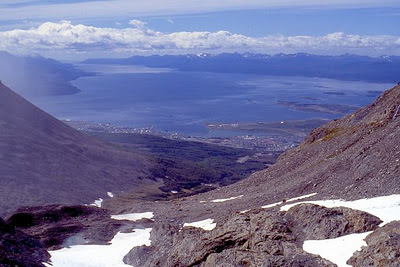 The San Sebastián crossing between the Chilean and Argentine sides of the Isla Grande de Tierra del Fuego has long been a glacially slow crossing and, with limited exceptions, getting from the Argentine city of Ushuaia to the Chilean town of Puerto Williams, just across the Beagle Channel (pictured below, looking south toward Chile's Isla Navarino), has been almost impossible. That may be changing. 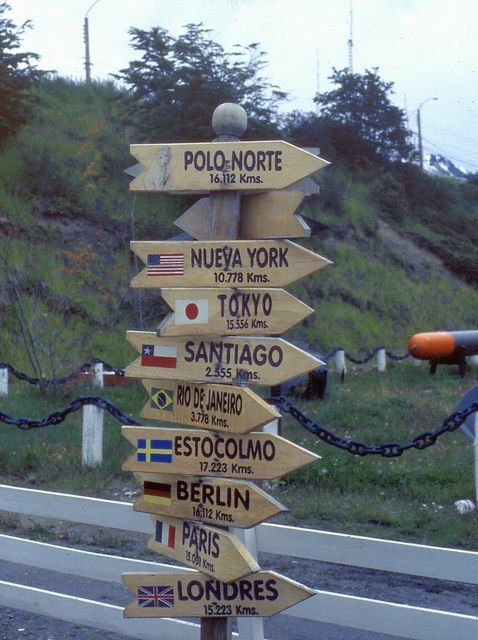 In a recent meeting at Punta Arenas, Argentina’s ambassador to Chile, Ginés González García, announced his government’s support for a measure that would make the Southern Cone’s southernmost extremes an area of “free movement of peoples.” There is no designated date for implementing the measure, but it seems to be a priority for both governments. Chile’s ambassador to Buenos Aires, Adolfo Zaldívar, was also present at the meeting. 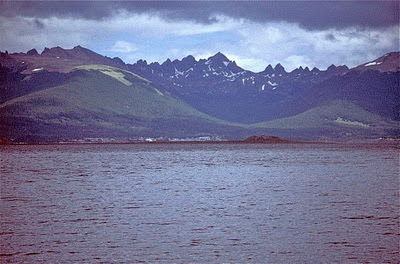 Given the physical isolation of Magallanes from the rest of Chile, and the need for Argentines to travel overland through Chile to reach their side of the Isla Grande, any measure that improves communications in this region is a welcome one. According to Montevideo-based Mercopress, which reported the story, authorities were considering extended border hours of 24/7 during the peak season, and increasing personnel to handle the number of people crossing at that time. 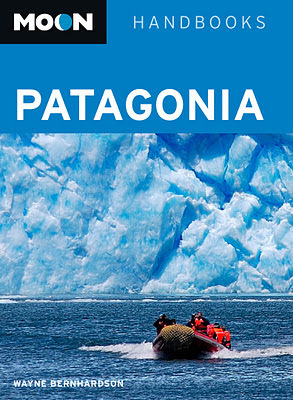 In honor of Argentine and Chilean efforts to improve communications between their most remote territories, I have decided to award a copy of the new third edition of Moon Handbooks Patagonia to the first person who can answer what I, at least, believe is a fairly simple question. What was the industry that first brought economic integration between the two countries in the Fuegian region, creating enormous fortunes in the late 19th and early 20th centuries? 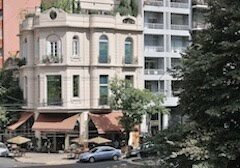 Please send your answer to the following email address: southerncone (at) mac.com. If you have won in the past year, please stand aside and let someone else have a chance. The exception that proves the rule, as it were. During the 1978/79 Beagle conflict that led Chile and Argentina to the brink of war -- a war stopped by the last-minute intervention of the pope -- all border crossings between the two countries were closed except on Tierra del Fuego itself, where presumably the war would have been fought. I guess the requisites of local commerce trumped international politics. We crossed over in early January 1979, hiring a jeep to get us near the border (no buses were running), walking a few kilometers through what was a cold, desolate no man's land, and talking our way past heavily armed Argentine soldiers camouflaged as shrubbery who had suddenly stood up on the hillsides (true, I swear). They were as surprised to see us as we were to see them. Their commander soon arrived in a jeep. After determining we were two gormless backpackers (actually, we were a trio -- tagging along with us was a vacationing German stewardess dragging a wheeled suitcase) he let us proceed. As we trudged on, wondering how many more kilometers we had to go, along came a Chilean wine truck en route to Rio Grande on the Argentine Tierra del Fuego coast. We flagged the driver down and hopped in.